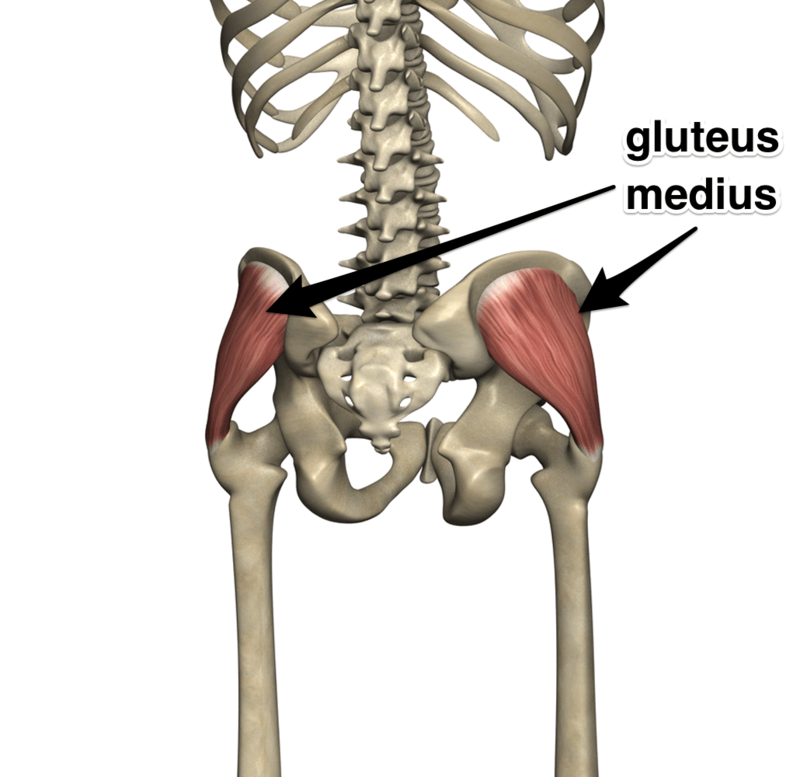 Is there a relationship between psoas and the gluteals? The pattern that I’m referring to in this article can show itself in a number of different ways. Unfortunately, that means I have to talk around it for a bit. The way the pattern has shown itself to me as of late, points in the direction of the interrelationship between tight deep external rotators (piriformis for instance), the deep gluteus minimus and medius, and a tight iliopsoas. 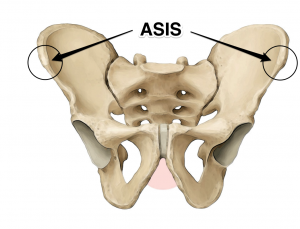 I discuss the piriformis/psoas relationship to the SI joint in Functional Anatomy of Yoga. Here’s how the pattern has been presenting itself to me. The student has occasional or chronic lower back or SI joint pain on one side maybe even knee pain on the same side. Depending on the practitioner and their level of practice I have also observed difficulty putting their leg behind their head. It’s also possible that the student has a tendency to over tighten their buttocks in upward facing dog, especially on the affected side. All of these parts and pieces add up to a somewhat dysfunctional hip joint. By dysfunctional I mean, not generally happy. The hip is possibly showing pain in certain movements or postures and even outside of practice in daily life. As I said I’ve seen a spat of this recently. I just assume that if something keeps showing up in front of me, either I’m being a hammer and only seeing nails or there’s something worth writing about. I’m sure there are a few of you out there who will benefit from a little deconstruction of the situation even if it doesn’t fit you or a student in exactly the same way. I have written about some aspects of this before in other places. 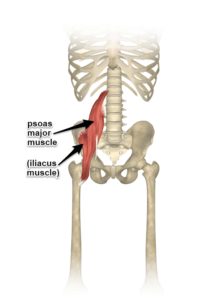 The psoas article that’s been up for years now is always worth a read; I’ve also written about squeezing the buttocks in up dog. Even sit bone pain or knee problems could be included as possible related issues. 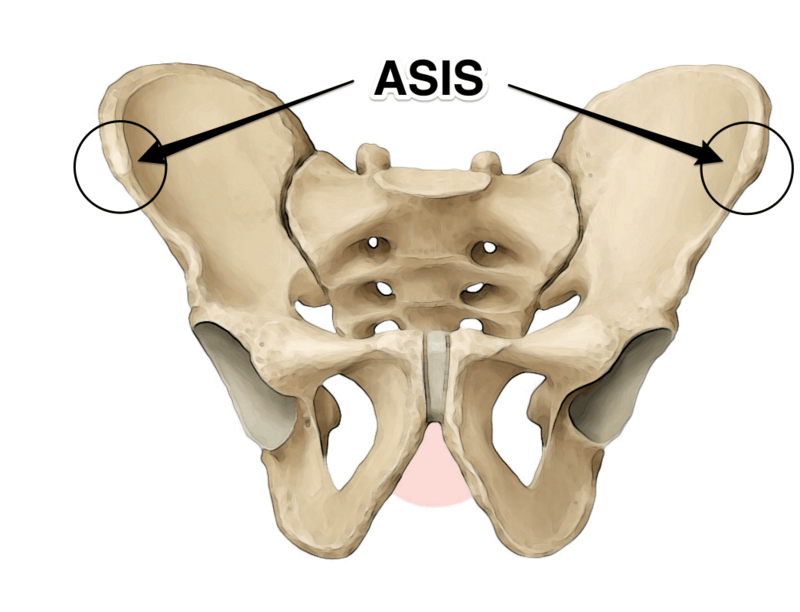 I am starting to think that this difference between the sides of the pelvis may be the common factor in the pattern that I’m seeing regardless of the symptoms that may be appearing. As of late, the symptom has just seemed to revolve mostly around tight gluteals and a tight iliopsoas. How Does the Pelvis Get Like This? There are many ways in which this can happen, too many to list them all, but sometimes it’s an anatomical difference in size between the right and left side of the pelvis, or an anatomically longer leg. We’ve already mentioned that the tension of various muscles can create this. A fall onto your bottom, or more specifically onto your sit bone can be the culprit. As I mentioned in a recent article, scoliosis can create an imbalance in the pelvis as well. I would suggest that the practice of yoga by itself is unlikely to cause this to happen. I say this because the practice of postures is usually balanced in terms of stretching and strengthening tissues as well as in terms of front/back and left/right. Some practices however could lead to furthering an imbalance if it already exists. It is also possible that an injury sustained while practicing could, over a period of time, lead to an imbalance. For instance a torn hamstring could either create compensations, or a change in balance between the front and the back of the pelvis that other muscles then tighten around. If you do have any of the mentioned issues going on then it might be worth having someone check your pelvis to see if an imbalance might be part of your problem. If you’re curious whether or not there is a difference between the sides of someone’s pelvis here’s how you would check someone else’s pelvis. Have them stand in front of you while you kneel down and place your thumbs on their ASIS. That’s the bump on the front of your pelvis, sometimes known in yoga as hip points. They can be difficult to find on some people so it may be helpful to have them fold just slightly at their waist to soften some of the hip flexors. Just make sure you have them stand up straight after you’ve located them. Another way would be to have them find their ASIS for you. You’ll also want to slide your finger up from just below the ASIS so that you hit the bottom of it on both sides with both thumbs. This helps you to feel that you’re in the same spot on both sides. Most people will have at least a very slight difference in the height of these relative to one another. If it’s a significant difference then it’s more likely to be a component of the problem. To confirm that one side is actually rotated, you should also check the PSIS, which can be even more difficult to find. This one is the bump you feel on the back of your pelvis on either side of your sacrum. It may be helpful to have the person you’re checking find them for you so you can then place your thumbs on them once again, while you note if one is higher or lower than the other. The best way to find it yourself is to slide all of your fingertips over the approximate area where you think it should be. Make circular motion and see if you can find it. If you found that their left ASIS was lower than the right and the PSIS was higher on the left compared to the right, then this might lead us to conclude that the left side is tilted forward in an anterior tilt. In other words lower ASIS and higher PSIS on the same side could be indicating that that side of the pelvis is tilted forward. There are certainly more sophisticated ways of confirming these imbalances; this is just the simplest way of doing it. More importantly than me trying to teach you how to interpret these differences in a newsletter is noting the differences between right and left side. Then note any differences you find in the student’s postures around the pelvis. Also the “symptoms” that you find in the student. Is there a correlation? Since I went with the simpler and more common one side tilted down and forward, a couple of things go along with this. It’s hard to say which comes first. If the pelvis is tilted down and forward (anterior tilt) on one side, we would expect to find that muscles that attach to the front of the pelvis, such as the adductors, rectus femoris (a quadriceps), and the iliopsoas might be short and tight. This could mean that at the back of the pelvis we find that the hamstrings are longer than they should be, maybe even complaining with some pain at the sit bone. We often think long is good but what we really mean by “good” is that there is flexibility to get long when needed, not that the muscle is in a constant state of being stretched. In addition to the hamstring getting long, it also means the area above the pelvis on this same side is usually short and compressed. 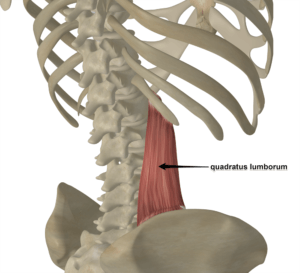 The quadratus lumborum is the typical muscle people would suspect to be short here and it very well could be, but even the more simple paraspinal muscles or “erector spinae” muscles may complain and feel tight, or painful due to their constant state of being short. With this pelvic difference it wouldn’t be unreasonable that the gluteals are also not particularly happy. If this is also the case then we might see that the student has a hard time externally rotating their thigh at the hip joint. Perhaps not an issue for students trying to do a simple janu sirsasana, but maybe it shows itself as knee pain in lotus or as a restriction for some students trying to get a leg behind their head. What we want to do is factor in what we’ve found in terms of the balance of the pelvis. Then we want to mix in what the student describes, or rather what areas of their body are feeling tension or even pain. Based on the coming together of these there are a number of things we might try to change in the practice or we might even add specific poses to help bring length to some of those shortened tissues. Continuing to assume an anterior tilt on one side we will almost always want to bring length into the front of the hip and lengthen the hip flexors. This can be anything from a simple lunge to a supta virasana. Feel free to use any other postures that you know which put length into these tissues. If the gluteals and lower back are involved then make sure the student isn’t over tightening their buttocks in their up dog or other back bending type postures, which may lead to more tension in these tissues. Maybe also encourage postures that lengthen these tissues such as pigeon or us the lotus preps that I describe in my youtube video. When working with either of the two scenarios above, also make sure that the lower back doesn’t get compressed. Find ways, with your hands or props to keep space in the lower back while both stretching the hip flexors and helping to shut off the gluteals. Sometimes shutting off the gluteals shuts everything off and the lower back can get over compressed. For instance in up dog, make sure they are also engaging and pressing the legs into the floor. Be willing to explore a bit with your students and try things out. You can often bring awareness to certain patterns that the student has and this can take them further into exploring their own awareness of what they are doing and how they are doing it. This is always good! – in the side that is lower poses with inner rotation of thigh work easier (triang mukha eka pada paschimattanasana) and on the opposite side (higger) not? 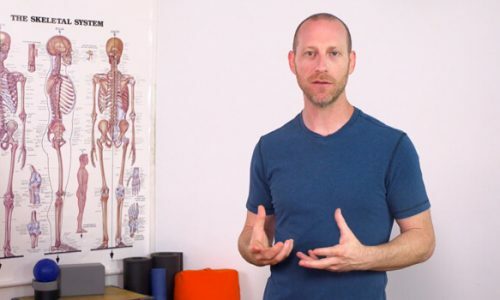 – the shouleder on the opposite side of lower hip more stiff in outer rotation so that grounding of the elbow in pincha is hard? Thanks again for this article. If you are interested, I have worked out some stretches for psoas and quadratus lumborum that I could share. Yes, sometimes easier inner rotation of the thigh on the same side. I haven’t noticed the shoulder part but I’ll pay attention now that you mention it. If you have some stretches that you think would be helpful, please post them here. Try to keep it simple though! Yes! I wondered the same thing as Madina’s comment about the opposite shoulder being tight in outward rotation. I have noticed that problem and the connections makes a lot of sense to me now. I would be interested in reading stretching suggestions. This is me! In my case due to scoliosis. I’ve been working with this for about a year now – using a lot of stretches for left piriformis, QL and psoas. Since the scoliosis is genetic not functional, this manages the situation rather than ‘fixes’ it. Madina, I’d be interested to know your QL stretches. Thank you so much for this very informative article. I have designed a lesson for the piriformis, et. al. since our “sitting at the computer” friends are experiencing a lot of discomfort in those areas. I have the shoulder issue too, but I’ve always related it to the scoliosis – my shoulder girdle is also rotated. So in my case anyway, the shoulder rotation issue isn’t a result of the pelvic rotation, but both shoulder and pelvic rotations are a result of the scoliosis. Always enjoy reading the articles, especially the ones about low back. Are there any joints around the PSIS. If I had to pinpoint where my pain is, that would be the place. Will xrays tell me more? 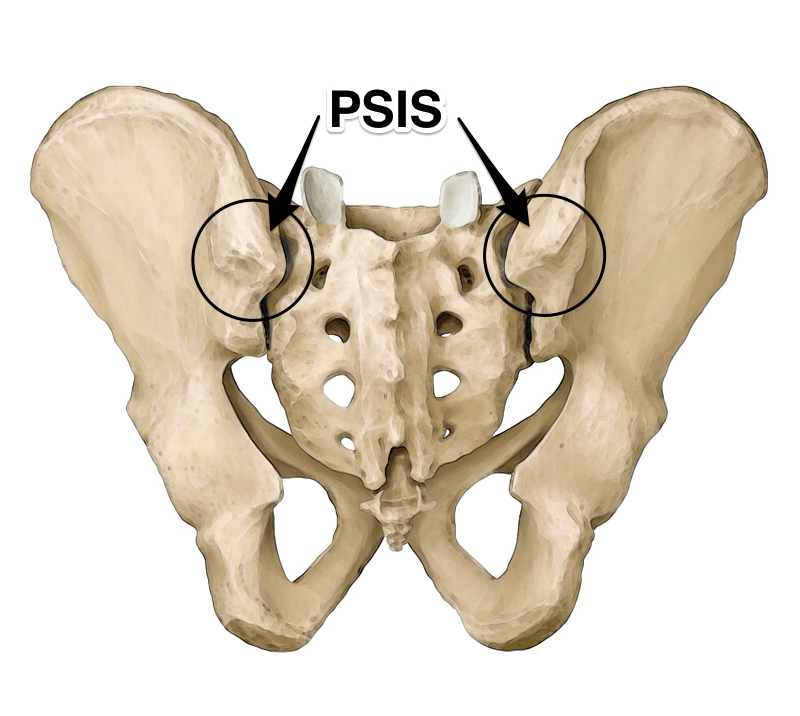 Most people who point at their PSIS are usually referring to their SI joint. X-Rays… maybe tell you something, more likely no. You may want to check in with an Osteopath or a good Chiropractor. They may be able to tell you if your SI joint is out of place. My first thought is that you find a yoga therapist in your area. Depending on their training, they may be able to do a good evaluation and assessment of your specific issue/pattern. They would then definitely have the training to come up with an appropriate sequence. Other than that, maybe a physical therapist or a really good massage therapist. However their ability to create a yoga sequence might be limited. This is me as well! I just went to a physical therapist and she described this exact scenario to me. When I lay on the ground on my back and tilt my hips anterior, a specific point in my right buttock hurts–sort of like when you wiggle a loose tooth? my left hip flexor is extremely tight and both of my hamstrings are very tight. I also have pain on the outside of my knees–but especially the left knee. My lower back has a lot of aches and pains as well. The other day when I was laying on my exercise ball on my stomach –stretching my hips away from my lower back–I “threw out” my back and couldn’t stand up for about 30 minutes. Any suggestions? Yoga, stretches, PT? Thanks! PT… Maybe, possibly an Osteopath or Chiropractor. Maybe your SI joint but only a guess from this distance. I would suggest that you definitely find someone to do a really good assessment of the problem who can actually look at you. I’m limited from such a distance. Stretch for psoas. Requirements: 3 stiff bricks and optional blanket. Lay on your back with feet against the wall. Please bricks against the wall standing tall your hip distance apart. With straight legs and feet on floor against the wall measure where your sacrum is on the floor – on that spot the third brick will go under the sacrum (also up tall). To place brick there bend knees and lift pelvis up. Place brick under sacrum, it should not be on lower back (just slightly below PSIS), if not comfy – use blanket. Place both feet on the other 2 bricks and relax. If you feel discomform in lower back, lift pelvis and tuck tail bone under. If you feel nothing, most probably your psoas is long so you need to lower wall bricks or remove them at all. You should ideally feel a DEEP stretch below your navel on two sides of groins. Do a wide janu sirsasana (more than 90 degree angle in the bent knee) e.g. on right side. Place your left palm down on the floor having your arm straight and perpendicular to your left leg. Press hand down and twist in your chest to open it up to sky. Now that you opened chest, lift right arm above the head and reach for your left big toe. Make sure that right sit bone is on the floor, so that the stretch goes into right kidney area (low back on right side – QL). Good luck and hope these stretches also work for you! Thanks David for a great article! And I have a question. What asanas (or other things) could be helpful for someone having such imbalances in the pelvis? What asanas someone should do is ideally tailored to them and the imbalance they have. I would suggest finding a good yoga therapist who can actually look at the person. However, I did offer some hints/suggestions for some basic asana one could do at the end of the article. You should be able to extrapolate from those basic postures additional postures that may help. Thanks David ~ Awesome article. I have this exact condition and what has also helped me is Myofascial Release massage techniques, especially the very slow leg pulls with inward rotation as the leg is being pulled down away from the waist and across the body. Additional to the postures you mentioned that help include: seated: Ardha Matsyendrasana, standing: Parvitta Parsvakonasana, and (advanced) Marichasana E and F (with one leg folded backward like in TrianmukhaPastchimotanasa). Thanks again! This sounds very much like me also, constant discomfort in gluteals, knee’s and left shoulder. This occasionally becomes a debilitating sharp pain in gluteals (particularly the Rightside plus tighter R hamstring), lumbar spine and coincidentally i have been having instability and impaired mobility in left shoulder too! Unfortunately this has meant my asana practice has been considerably limited, often practice appearing to be inflaming things/causing further pain/discomfort. Obviously i have been using my practice as one of awareness & being as gentle/kind as possible with myself. At present i am using a mix of mobility exercises, massage & asana to relief discomfort/promote function but 6yrs down the line no fix despite daily practice. Any suggestions as to therapeutic approaches i might try, as although recommendations regards asana have been helpful it has not resolved difficulties?? 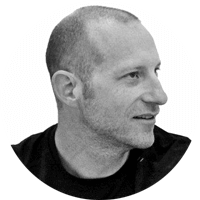 David, This article was most timely for me…in October I was at a breaking point with my SI joint on the right side and over time I felt a strong discomfort in wide legged forward folds as my gluts or piriformis wouldn’t release – they were painful. Because the pain was not moving my teacher sent me to a Chiro! AMEN!!!! My psoas was laden with adhesions post childbirth that I had not known was there and over the course of getting my practice back and not doing a ton of core work the problem presented itself. The awarness to my core has shifted in downdog, and even bringing awareness in up-dog. My jumpthroughs are better. However, my right leg still rotates in backbending and in Marichiasana A (when extended) – and coming up – load management needs to stay equal – but I shift. Now I also bring more awarness in the energy of my legs while in wide legged forward folds in terms of realizing what needs to be engaged in order for a release to occur. My major learning from this is that sometimes a yoga practice cannot heal the affected areas without other help/deeper manipulation and more knowledge. 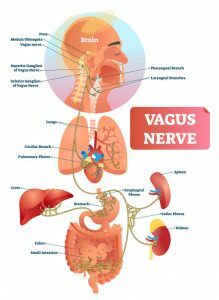 Going to my chiro and doing painful active release therapy was absolutely necessary for the shift to happen and to remove adhesions on connective tissue so that healing and energy shift could occur. Thank you for this article – I hope to one day take one of your workshops. Thank you for sharing and Chiro’s now booked!! I would highly recommend Davids classes & workshops if you can make it to them, inspiring plus shared in such a fun, simple way! Just getting into yoga but have suffered with psoas, one side lower back pain for many years. I recently incuded straight one leg deadlift with light weight into my rehab and the affected side seems to be re energized after some how being switched off in compensation for a long time. It seems to have more of a strengthening and lengthening effect than bridge positions. Just wondered what your thoughts on this would be. This could be myself as well with one side. I had xray done last week at my first ever visit to a chiropractor to see why have the tightness when I practice so much. Was told I had “Lower Cross Syndrome’ which had probably had for life. With them saying would be about 3400.00 for 8 weeks of treatment and my not having pain keeping me at home I think will take my xrays picked up yesterday and also have my acupuncturist and someone else look for other opinions. Only trauma I could think of was a year ago hurting myself loading a large luggage rack on top of SUV where my low back felt pulled from the sudden movement of throwing carrier on top and then right after pain where I couldn’t move. Was like that for days where even a sneeze or slight cough would kill. With all I do with my Yoga having a luggage rack load up take me down like that was something. Since then I feel my hips are off as mentioned in this article, weirdness in low right side and sometimes glute/sit bone strange feeling. Had never heard of “Low Cross Syndrome” and due to high cost chiropractor quoted and my never going to chiropractor before (no need) I am trying to figure out best thing for me regarding. This article jumped out at me. Sorry that you and so many others can relate to this article… what to do? Your story is not uncommon. Some event that triggers a much larger pattern of tension. A good chiro may be able to sort it out for you, but I’m not sure how they would know that it would require 8 weeks, or not require 3 or 10? All I can suggest is that you be mindful not to further solidify the pattern in your practice. There are many good qualified therapist who I am sure could help you undo this pattern. Look for a physiotherapist or physical therapist that teaches other PTs. Or if you respond well to manual therapy seek out a good Neuromuscular therapist in your area. There is a therapist locator on the NMT Center website. I found this very interesting. I have degenerative disc disease and my spine slips forward on my lower back and needs corrective surgery and I could go on an on. I pratice so I can stay mobile and not hurt so much. Some asanas are painful but I push myself to get better at it. Sometimes I pay the price later. But im proud of myself. This is a common imbalance I notice in my practice and the most common cause is not injury or scoliosis. The cause is really much more common. The hips get twisted many times because a person tends to put more weight on one leg when standing. Notice in any social situation, most people you see will be resting their weight on one leg more then the other and this simple posture will cause one hip to jut forward. A little piece of education could save your clients a lot of pain. Thanks for contributing. I’ll ask a question and I realize it will seem a little bit cheeky but… Is it possible that there is a pelvic imbalance and therefore we choose to favor standing on one leg over another. I have observed that most people will more commonly stand on their shorter leg. This shorter leg may be the result of anatomical differences on either side or a result of a pelvic imbalance that makes one leg appear shorter or longer than the other and it’s not an anatomical leg length difference. Having said that, I do agree that standing on one leg over and over again would only compound the problem and should be educated. Just consider that it can happen in either direction. I love you♥ answers all my issues, and proves Yoga is the answer for me. I recently completed my YTT 200 hours, it has been a question I have had about my own practice for quiet some time. We discussed my issues in class. This pulls it all together. Thank you so much! In addition to the ones mentioned, how does the QL, Adductors, Six Deep Rotators, Sacral Ligaments & Fascia relate? This whole description I give might be classified as lower cross syndrome. I actually avoided using this term because I’m not terribly fond of labels that lead people down a path that avoids paying attention to what they find along the way. In other words I don’t want people to diagnose themselves with something that they can go and find a one size fits all solution for. I also tried to keep the complexity as low as possible for the general audience that I write for. Most of them are not bodyworkers. Having said all of that. The QL, Adductors, Deep 6, Sacral ligaments and fascia may all be very related to this pattern. We wouldn’t know until we got our hands on it and tried to untangle who was contributing most… undoing that and then see if someone else then reacts or lets go. As you well know, a pattern like this is complicated. I realize this doesn’t answer your question. Mostly because, there is no way to answer fully and honestly but I would say, that I agree that the question should be asked! Thanks for the contribution to the discussion. Saw this today and seems to be a lot of questions regarding reading this and Yin Yoga. Thoughts? Can you be more specific about the “questions” you’re referring to. Many were asking how the article goes in line with holding long deep stretches in Yin Yoga style. Does it seem to favor and like or go against is what the discussion seemed to be on. Oh, sorry Michelle, I thought you were talking about the article which doesn’t mention Yin Yoga at all, hence my cluelessness as to what you were referring to. it is true that if you overstretch ligaments, the joint will usually become destabilized and it is possible for cartilage to wear out as a result of this. One could potentially do this with any style of yoga. With Yin it is possible if you were flexible enough to get passed all of your muscle tissue then you would be putting pressure on the ligaments and potentially over-stretching them. But again, this could happen in any style. The more important question to be asking is when do you know that you have gone past the muscle and are now in ligament? Is there a definitive line that you can feel? The author of the article seems to suggest that there are proprioceptors within the ligaments, I’ve never heard that before so I would have to do some research on that. She also says that tendons and ligaments are avascular which is has been conventional thought for some time, but they are finding that it’s not always true. That’s the most I’m willing to say on the subject. I have this issue currently. It has flared up over the past few months. I have seen a chiropractor and am seeing my physical therapist once/week. I’ve been teaching yoga for almost 14 year, so know my body pretty well, but my hip pain (left side) has left me unable to walk on some days because the pain was so bad, and I felt like my hip would fall right out of the socket when I put too much pressure on it. I’ve been compensating by almost limping and having my right side carry my weight, which I’m afraid is leading to more of an imbalance? I was practicing second series until last spring when I had a spinal fluid leak… which left me unable to practice for about four months. When I started asana again, I took it slow. My question is, if my hip is unstable do to hyper-mobility in that hip joint,(which is what my PT thinks) and psoas is inflamed, glute med is throbbing pain, and I have scoliosis in my lumber, and hip hike and rotation. (I can’t even do Janu Shirsasana on the left side) … So I have been practicing closed hip postures only for two months now, focusing on alignment and letting the psoas rest. It’s improving, but I am not sure when I can resume normal practice, and if you have other exercises you suggest to get the hip working better. Lateral rotation of the left femur is very painful still. I don’t think I want to stretch my psoas, but your article says that might be exactly what I need…? Is this correct? I also think this is really common with yoginis with children. Open hips, carrying kids on one side and I’d like to find ways to help my students reduce hip pain, and be safe. Suggestions? I’m a little late to the party, but thanks for posting this. A friend, Ken (a Rolfer — also an Ashtanga teacher), took one look at me and pointed out that I have a stronger anterior tilt on the right side, causing pelvic torsion. My right leg turns out and is “easier” to get into lotus-type hip rotations, but much more difficult for bigger rotations like leg behind the head. I have many of the compensation patterns and physical complaints that you listed, but the one that bothers me the most is the feeling that one leg (the anterior side) is always longer than the other when I stand. I also have a feeling that this foundational imbalance affects pretty much everything that I do, on the mat and off. I recently spoke with another Rolfer who said that this type of pelvic asymmetry is a common result when one SI joint is “stuck,” (and apparently is a very common pattern for dancers and women — but who knows), so I began doing some work to release it by strengthening internal rotation on that side, and doing a release involving abducting the thigh. In your experience, has working with “releasing” a “stuck” SI joint been helpful? Have you discovered any other useful interventions besides stretching the front of the anterior side and strengthening its back? Thanks so much — love your videos and articles, and hope to practice with you one day! First I would say that you want to be sure whether one side is high or the other is low. For sure, the ideal is that they are even, but if the one that is low is the real issue and you work the other one, you could increase the imbalance. Make sure before you move forward… perhaps you’re already sure. As for the stuck SI, it’s also possible that the stuck SI is a result not a cause of the imbalance. Not easy to figure out, but a good question to ask as you start to work things out. Yes, if you bring things closer to balance, the SI may release or then be ready to be adjusted by a good osteo or chiro. I would definitely suggest both manual therapy with the adjustments. Thank you for this post! I’m struggling with crippling pain at the moment in my left hip and leg, especially with flexion at the hip and the knee extended. I’m unable to walk very far, and standing still is even more excruciating. This pattern is causing me to suspect that my pelvis is rotated or tilted in some way, and your article seems to confirm it. If you have any other insights/advice/recommended postures or stretches, I’d love to hear them! Otherwise, thanks for the insight so far.